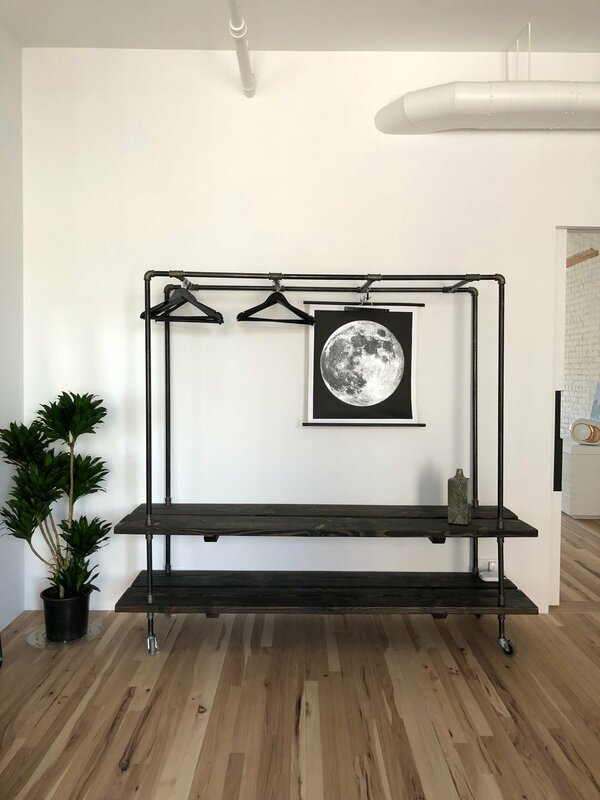 We build simple furniture with steel and wood. Our products are functional and elegant. The standing desk, perfected. Non-adjustable, because you can buy a sitting desk anywhere. Architectural built-in shelving for any room. Your books and knickknacks need a home as beautiful as you do. Black steel and cast iron combine with rustic douglas fir shelves to create built-ins with a rustic, architectural feel. When decorated with found objects and plants, these shelves open up any space. When brimming with books, these shelves create the feeling of home. Our projects make big visions possible. Work in your dream home office, pour a drink from your killer home bar, or get dressed in your custom walk-in closet. Humble materials with a high-end finish. Classic black steel transforms into a bright luxury components for your project. Golds, brass, copper and stainless silvers offer new possibilities to brighten your rooms. We love creating new products designed by our clients in rough sketches and big ideas. We can build anything you can imagine, constrained only by our materials and physics.